Hello! My name is Ryan Carleton, and I first attended NTLP in 2006. I never could have imagined the impact that weekend away would have on my life. 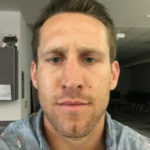 I currently work as a substitute teacher and coach back in my home town of Lodi, California. I’m pursuing a teaching career and am just about to start my Master’s program at University of the Pacific this summer. I coach football for a local high school here in town and also own/operate my own gym where I work with young athletes from the area. Words can’t describe the positive influence NTLP has had in my life. Not a single day goes by where I don’t use a lesson learned from a weekend away at NTLP. Transitioning from being a student, to now being the teacher/coach, I’m so grateful for my NTLP experience. And with the ability to return as a counselor, I’m pumped that it doesn’t have to end!! !